Electricians you can count on! At JIE we are fully committed to bring you quality electrician work and you can rest assured that our electricians are at the top of their game. Our electricians have all been highly trained in their field and have years of experience. Our licensed electricians are certified fiber optic installers and PLC technicians. Our employees are continuously involved in training programs to insure they stay up to date with technology and codes. We are a family owned and operated company. Our mission is to be the premier electrical contractor for the four state area. We are a diversified company and specialize in a variety of electric work. While our areas of expertise are many, our commitment to each project is the same. We hold ourselves to the highest standards of quality. Your safety is our priority. At JIE we have been in the business for 70 years! Through that time we have gained great experience and built a reputation for excellence. We have gotten the chance to work with small electric projects as well as multimillion dollar projects. We have learned that each electric project deserves the same of amount of commitment from us. 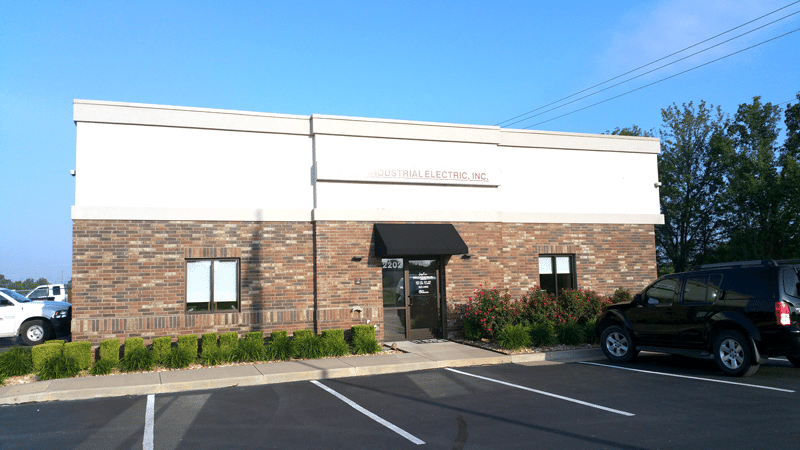 We at Joplin Industrial Electric have a commitment to quality which we achieve by hiring only the most highly trained electricians in the market. Our electricians come to you with the latest in technology, the best and latest equipment and the attitude it takes to satisfy each and every customer. JIE employees are continually involved in training programs to enhance their skills and productivity. We come to you with licensed electricians who are certified fiber optic installers, PLC technicians and much more. From the smallest service call to multi-million dollar projects, we are here to serve you, the customer. We have a strong sense of community and we want to insure we provide you with the best service that we can. Our licensed electricians are constantly undergoing training and learning new technologies. We feel confident that our diverse team of employees can efficiently meet the specific needs of each of our clients. While you may find most of the electrician services we provide here on the right, there are many other things we can do. Please give us a call with any questions. Our friendly staff will work their best to help you! Visit our electrical services page for more information. Thank you for your efforts on our behalf. From my first call to Ms. Peterson through to completion of the installation this has been a positive experience. We appreciate that you got in touch with us so quickly. The way you came in and discussed and explained everything was very helpful to us in deciding what we wanted to do. Having the new generator installed has given us a feeling of great relief. Please extend my appreciation to the men who installed our generator on the 14th. As you know, my husband was unexpectedly out of town on the installation date. Since he had gone over the arrangements with you I was somewhat uneasy about how smoothly things would go. I must tell you that the Joplin Industrial Electric crew was one of the finest I’ve had the pleasure to host in my home. It was obvious that the men were extremely well trained. Their pride in their work and desire to do a superior job was evident. They were wholly professional in ever aspect. They were courteous, not only to me, but also to each other. In short, they turned what could have been an extremely stressful event for me into just a day with company in the house. 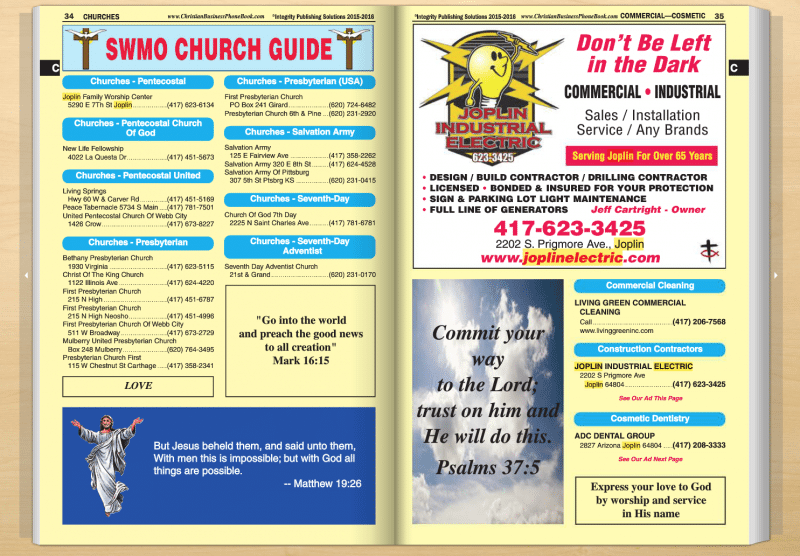 Thank you for such a great service Joplin Industrial Electric. My wife and I were so pleased with the work you have done for us so far, that we want to set up an appointment with Steve for the end of summer. We have a couple small jobs that need to be done as well as a GFI installation.